OUTPERFORMANCE was at the heart of an awards night brimming with excitement and anticipation. The 6th Edition of Mahindra Transport Excellence Awards (MTEA) ceremony was held in its full glory at The Ashok, New Delhi on 3rd of February, 2017. Ministry of Road Transport & Highways (MoRTH) have extended their continued support to MTEA program for the fourth consecutive year. MTEA 2016 didn’t just see higher numbers in terms of entries, but it also exhibited better quality, varied and interesting stories with a stronger pitch. This turn of events rendered the feeling that transport excellence awards have truly come of age. 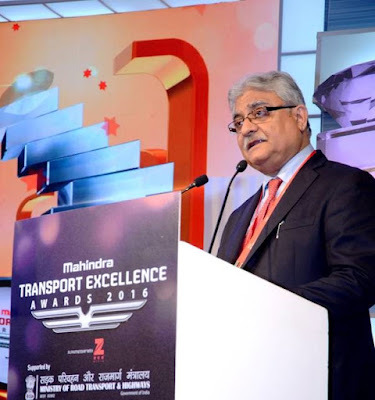 The transport award ceremony has come a long way since its inception in the year 2011, and, which has only grown and risen from what it was. This year, the event saw an upsurge in its popularity and equity among the transport community with a significantly higher number of case studies collected – 6164 case Studies – which stands for 14% higher than last year’s collections! Chief Guest at the prestigious do was none other than Shri Nitin Gadkari, Hon. Road Transport & Highways Minister who graced the awards night with offering tremendous insights on ‘roadsafety’ and ‘innovations’ which were the themes of the night. 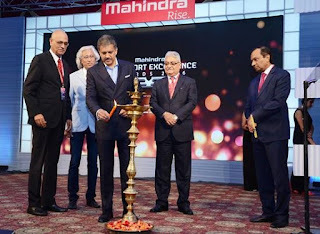 Mr. Nalin Mehta, CEO and MD, Mahindra Truck and Bus, presented the report card of the program, encouraging Mahindra’s commitment to strengthen while continuing to make the RISE initiative more relevant. 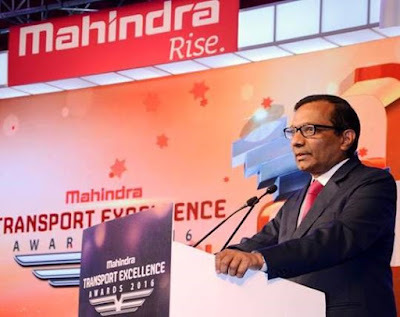 Mr. Rajamani, Executive Director, Ernst & Young provided the certification for fairness, robustness and transparency. There were two new innovational categories this year. The awards took engagement of the girl child education a step ahead with its Mahindra SaarthiAbhiyaan (MSA) Outperformer contest for beneficiaries of the MSA scholarship. A short story contest namely #HaveASafeJourney on the issue of road safety was devised and executed to emphasize the importance of safe driving. Innovations in road safety in Approach, Processes, Measures and Perspective was the topic of an insightful panel discussion chaired by Prof G.Raghuram - Public Systems Group, IIM, Ahmedabad. Spectating the event were truck fleet owners from all corners of India, transporters and heads of logistics companies and professionals from allied fields, dealers of commercial vehicles, financiers for commercial vehicles, various senior delegates from the transport division, faculty members from IIM A, and delegates from Mahindra Group and heads of several agencies and select media groups. 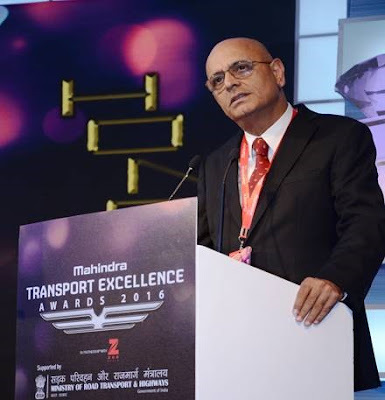 Like the previous year, under the Fleet Owner category, awards for tipper section were presented. Fleet management and driver management categories for large, medium and small transporters. 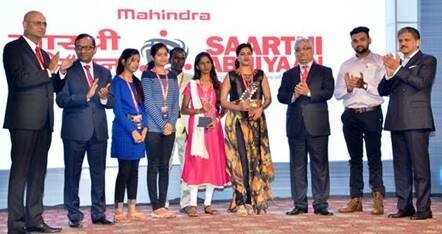 Youth and lady transporters were duly recognized and awarded. Emerging fleet owners were also recognized to empower newbies in the focused industry. 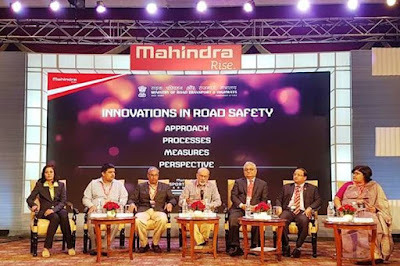 Safety awards took centerstage which included hazardous goods, nonhazardous goods and ODC categories which bore the idea of extraordinary innovation in development of the transport systems. Mrs. Meera Rajagopalan was declared as the National Winner while Ms. Sahar Fatima was the Runner up for “Have a Safe Journey” contest. The contest resulted into a book which is the world’s first collection of short stories on road safety. 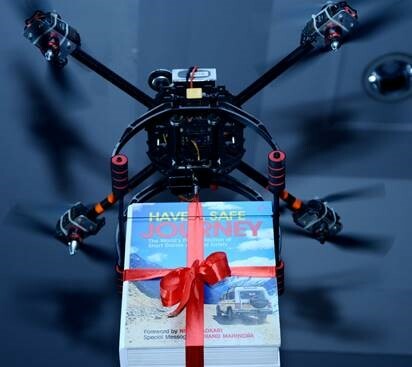 The book was successfully launched with a drone aerially delivering the cover of the book to the dignitaries present on stage at the MTEA 2016. 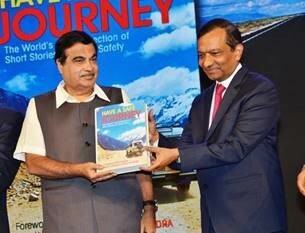 The book features 20 best stories from the contest and carries a foreword from Mr. Nitin Gadkari and a special message from Mr. Anand Mahindra. Mahindra BLAZO 25 truck was given away to Mr. Jay Prakash Singh, Bharti Bulk Carriers being the “Super Outperformer Driver of the year”. MTEA 2016 with its core philosophy of RISE and OUTPERFORM is another step taken to drive positive change in the transport ecosystem.